The word ‘Carol’ means a dance or song of praise and joy, originally written to be sung on various occasions throughout the year. Christmas carols are songs or hymns with lyrics specifically on the theme of Christmas, and have been sung over the Christmas period for hundreds of years. Singing and dancing at celebrations long predates Christianity. 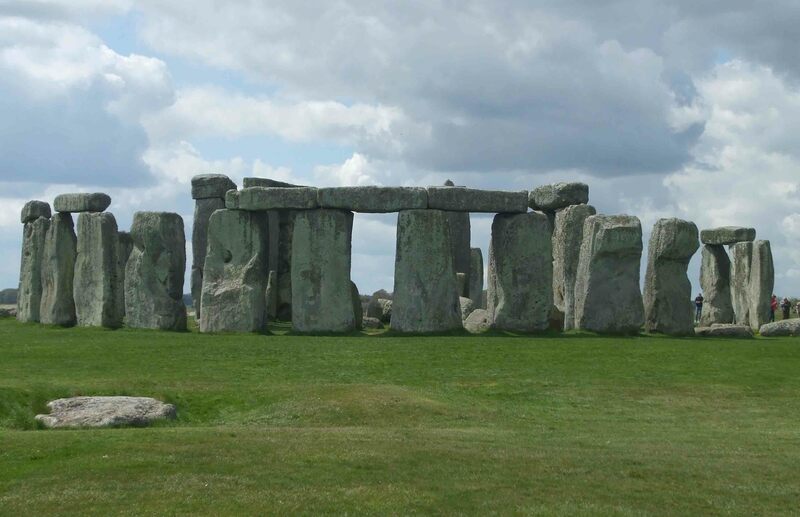 Over three thousand years ago (perhaps as far back as five) people would have danced and sung joyful songs as part of festive worship at stone circle like Stonehenge. Early Christians adopted the pagan celebrations of the Winter Solstice for Christmas, giving people Christian songs to sing. The first known Christmas hymns were in Latin and date from 4th century Rome. Another famous hymn was written in 760 by Comas of Jerusalem for the Greek Orthodox Church, and it was soon after this that composers across Europe started writing Christmas carols, too. Unfortunately, they were still written in Latin and were not very popular as most people couldn’t understand the language. By the 13th century, few people were still interested in celebrating Christmas. But things were already afoot to change that . . . In 13th century France, Germany and Italy, a tradition of Christmas carols in regional languages became popular, under the influence of St Francis of Assisi who made the birth of Christ into a live theatrical event. The first carols in English appeared in 1426 in a work of twenty-five Caroles of Cristemas by Shropshire chaplain, John Awdlay. These were possibly sung by groups of wassailers or minstrels as they went from door to door. Many popular carols of today originate from a collection first published in 1582, again in Latin. Amongst them are Christ was born on Christmas Day and O come all ye Faithful, the latter appearing in its present form in the mid-18th century (though the words possibly originated in the 13th). During the strict Puritanical rule of Cromwell in 1647, Christmas celebrations became almost non-existent, those who still continued to enjoy them doing so in secret and risking severe punishment if they were caught. Puritans not only disapproved of general merriment, they did not believe in religious songs. Their strict ban on such things not only affected Christmas in England, but in some other English-speaking areas too (as in the Massachusetts Bay Colony). 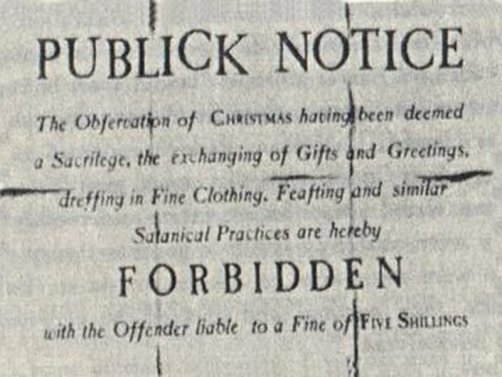 Public notice from 1656 in Boston regarding the celebrations of Christmas. Public Domain. It was two hundred years before Christmas recovered from this setback. In 1822, the English MP and amateur historian, David Gilbert, published a collection of old carols. Eleven years later, William Sandys published a volume of tunes still sung today, including The First Nowel (the Angel Did say), and Hark the Herald Angels Sing. I like the catchy tune of this carol although the lyrics are open to interpretation. In the carol the ships are sailing into Bethlehem – which is highly improbable as the nearest water (the Dead Sea) is 20 miles/32 km away. One interpretation is that the three ships refer to the ships that carried the relics of the three kings to the cathedral in Cologne in the 12th century. Another suggestion is that the ships are actually the camels used by the Magi, as camels are frequently referred to as ‘ships of the desert’. Other interpretations exist, too. In the 1840s, Christmas in England began to take on a completely new feel. 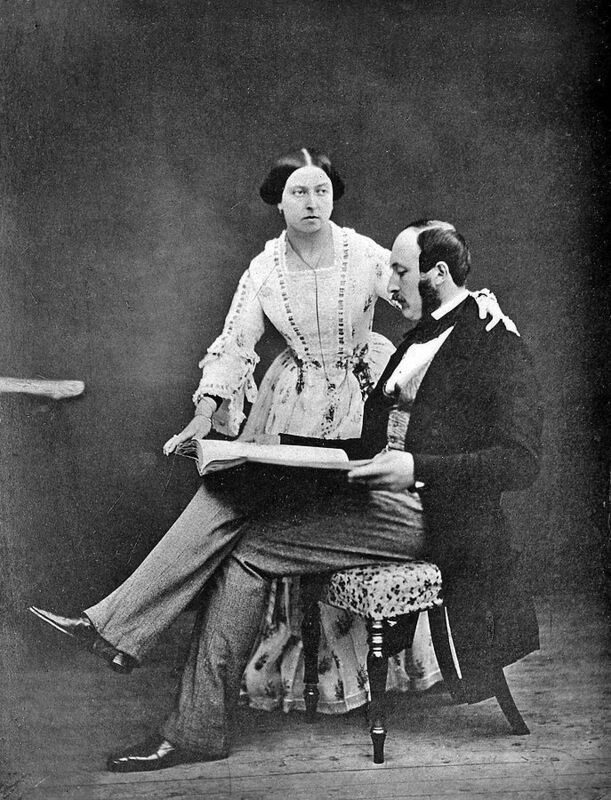 This was due, firstly, to the intervention of Queen Victoria and her new German husband, Prince Albert. Not only were traditions from the continent adopted, new music books were published to widen the appeal of carols. These carols included Hark! The Herald Angels Sing, God Rest Ye Merry Gentlemen, The First Noel, Good King Wenceslas and It Came Upon a Midnight Clear (the latter a New England carol). Here’s a fun version of Good King Wenceslas sung by Irish Rovers. It was uploaded to YouTube by BrothersCharles. Good King Wenceslas from a 1879 book by Henry Ramsden Bramley. From an engraving by the Brothers Grimm. Public Domain. 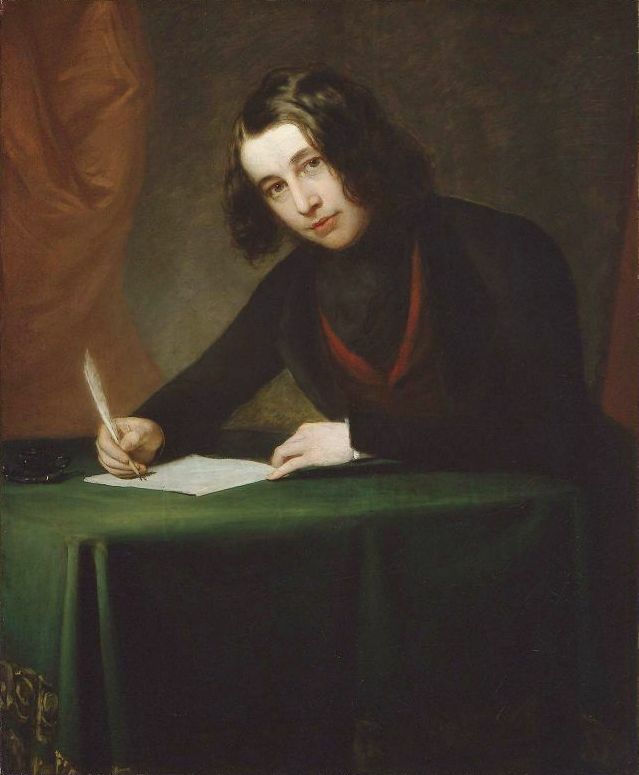 The second reason for the increased enthusiasm for Christmas in the 1840s was because these new changes were taken on board by a young writer called Charles Dickens. 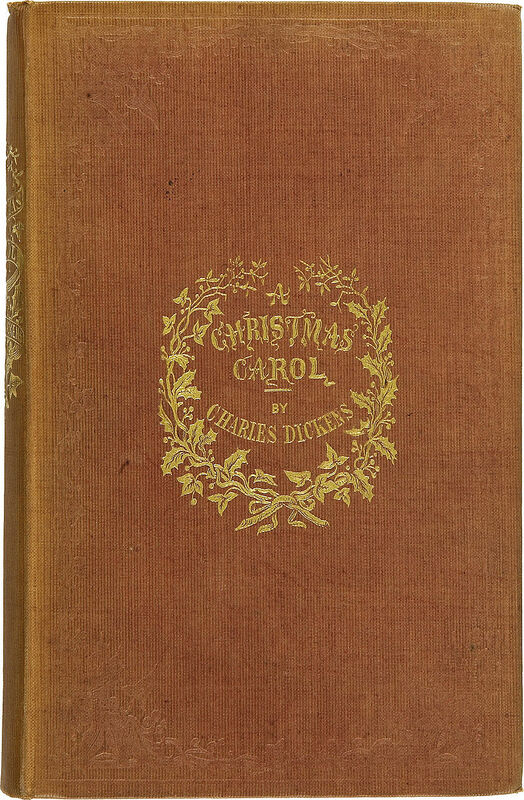 In 1843 he published A Christmas Carol. In the book, readers ‘see’ the reality of grim Christmases of the past compared to the festive, music-filled Christmases that had now become the norm. Meanwhile . . . in Austria in 1818, the beautiful carol, Silent Night (Stille Nacht), was composed by Franz Xaver Gruber to lyrics by Joseph Mohr. Portrait of Franz Xaver Gruber (painting) 1846. Photographer: stillenachtland.at Bildatenbank Public Domain. The English translation of Silent Night was published in 1859 by episcopal priest John Freeman Young (then serving at Trinity Church in New York). It has become the favourite carol of many people. Christmases of the 20th and 21st centuries have continued to extend the Victorian Christmas as a festive, secular celebration, obsessed with tradition. The singing of carols was popularised still further in 1961 when the Oxford University Press published one of the most popular carol books in the English-speaking world: Carols for Choirs. Many more Christmas songs have become popular over the last century, most of them secular ones. One of the most well-known and well-loved songs is probably White Christmas, described by Wikipedia as ‘a 1942 Irving Berlin song reminiscing about an old-fashioned Christmas setting’. Christmas songs have become ‘big business’ nowadays and competition for top places in the charts is the norm. This video is of the song that topped the UK charts at Christmas for many years. It’s Slade’s Merry Christmas Everybody, uploaded by Andrew MacLachlan. Not exactly a Christmas Carol . . .
We’ve come a long way from the austere, Latin hymns of early Christian times. Yet traditional carols from over the past few hundred years can still be heard over the holiday period around stores and markets in towns, and in restaurant and café – and we all love to sing along (well, most of us do!). Many carols have been given an upbeat arrangement, which – like everything in life – some people like and others don’t. We rarely see carol singers at the door nowadays (another thing people either loved or hated) but Carol Services in churches still take place, despite poor attendance at some. All in all, to me, Christmas just wouldn’t be the same without these wonderful old carols. 5. Various Wikipedia sites on individual carols and people mentioned in the post. Merry Christmas Millie and what a lovely post. Have a glorious holiday!! Thank you, Suzanne. I do love Christmas carols, but there are too many to talk about in one post! Have a lovely Christmas too. I’m sure you’ll already have baked some scrumptious treats. I’ll have to pop over and read what you’ve been up to, very soon. Merry Christmas, Millie! Have an amazing time with the loved ones! Just a note about my health: I got the all-clear from my CT scan–no nodule at all!!! Orla’s voice is lovely and the Irish Rovers just make me laugh! What more could I ask at Christmas time…? Wonderful read Millie, Merry Christmas to you n you family ! Many thanks, Kamakhya. Blessings to you and your family, and I wish you every happiness in the coming year. Good old Queen Vic, getting Christmas going properly. Amazing!Warmest greetings and best wishes for the new year. Sorry I am late with my Merry Christmas wishes, but I so enjoyed your post and the music. I have never heard before about this aspect of Cromwellian dictatorship. I though Christmas carols have been here since forever. Thank you again for your excellent post! Hope you are having a lovely Boxing day, and look forward to 2017. Thanks, Inese. I love Christmas carols and there are so many of them with interesting stories regarding their meaning and origin. Perhaps I’ll do a post about some different ones next year. Carols as a whole have an interesting history – and I do like a nice bit of history. 😀 Have a lovely Boxing Day, too. Wonderful post, Millie! I didn’t realize that the original carols would have all been in Latin, although now that you say it, it makes perfect sense. I’m certainly glad there are carols in English now, because it allowed me to go caroling with my neighborhood group a couple weeks ago. Such fun! I’ll admit that I hadn’t sung many of those songs in a while, and definitely did not remember the verses after the first ones (much less the verses in German, for some) which made it especially difficult to be parsing out the alto part at the same time. But it was a casual group, and we all had fun — and then cookies and mulled wine, yum! Thanks, Joy. I loved to go out carolling when I was young, but now so many people (in the UK, that is) view singers at the door a s a nuisance. Yet most people enjoy listening to formal services in the middle of towns or even on TV. I love most of the carols, and many of them have interesting stories to tell regarding either their creation or the way they’ve been interpreted. This side of things intrigues me. We didn’t go door to door with my caroling group, so I don’t know how annoying people might find it in my neighborhood. We sang at a Holiday Bazaar in our community center. The next night we set up in a neighborhood park and people came to see us (and brought cookies), then went to a couple houses where we’d be invited to sing, ending up in someone’s driveway, singing for her neighbors. It was great fun, and everyone seemed to really enjoy it. I can’t wait to do it again next year!